Shorter working hours and an increase in turnover: This is the proposal Tiller, he cash register system for restaurants. POS solution on iPad not only serves as a selling point, it also allows you to manage and analyze business to take it to the next level. Among its features are the ability to take orders quickly, offer discounts and promotions, manage staff, view data in real time, track sales, automate accounting, stock control and more. According to the company, The result is a saving 40 hours per month, improved customer experience and increased revenue from 10% Y 20%. "Tiller is designed to simplify the life of restorative and help you control your operations", Mariana establishes Clavel, Communications Manager startup, "Our goal is to become the only tool needed for managing the business". He system is based on three main axes: usability, management and customization. The first concerns the proper functioning of the POS to make charges intuitively. The second axis, management, comprises the back office Tiller and use of metrics collected by the box to improve decision-making. By last, customization aims to create an adapted to each business system by additional modules and digital integrations. With offices in Spain, France and Italy, Tiller seeks to allow restaurateurs to take control of their businesses and become better managers. Since its founding in 2014, the company has 6000 customers and He has raised 16 millions of euros thanks to large investors Ring Capital, Cambon Partners, 360 Capital Partners y Omnes Capital. He landed in Spain early 2017 and it has added clients throughout the country. 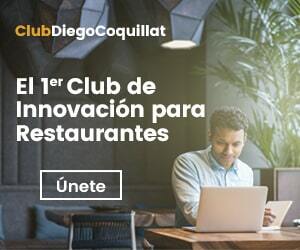 "We work with businesses of all shapes and sizes: restaurants, food trucks, cafes and even large groups ", establishes Clavel, "No matter how big or small the business, our custom application fits your needs ".